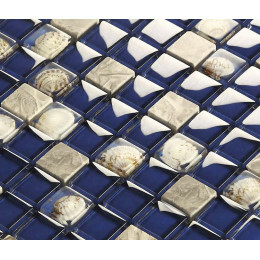 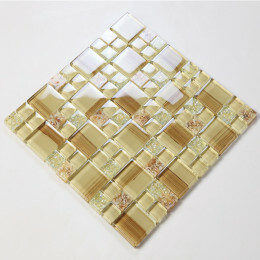 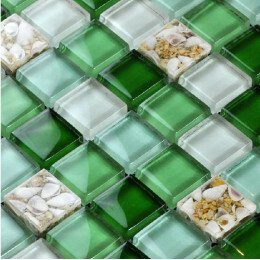 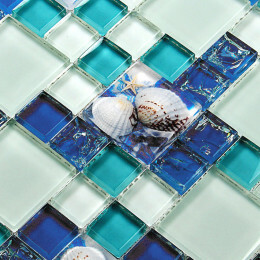 The glass conch tile was made of crystal glass and resin chips with conch, this is the new design to make the tiles lively. 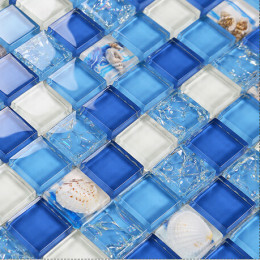 The crystal glass chips are high-temperatured glass which means the colors will never fade away and has a durable scratch, splash and heat resistant polyurethane finish. 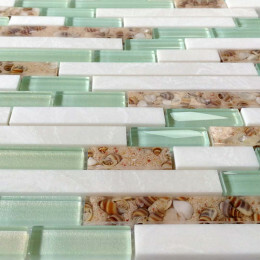 The resin chips are randomly added into the tile and the inner stuff are also random, they may be some conch, starfish and little pebble stone. 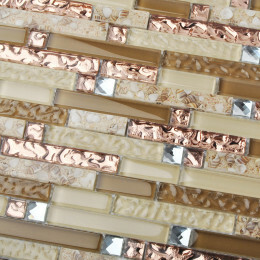 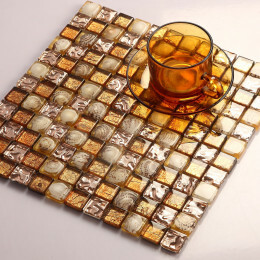 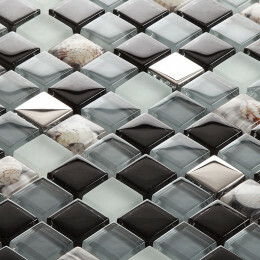 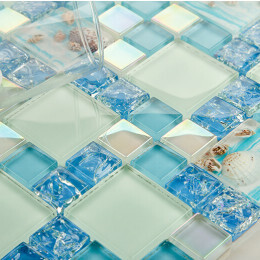 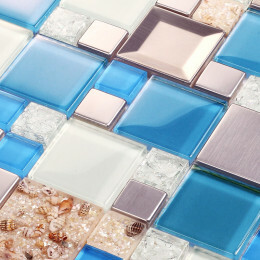 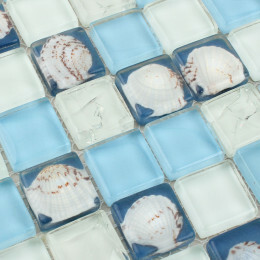 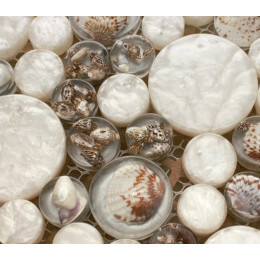 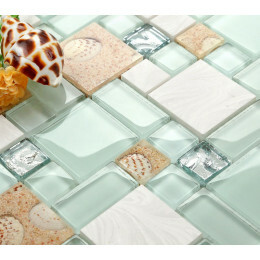 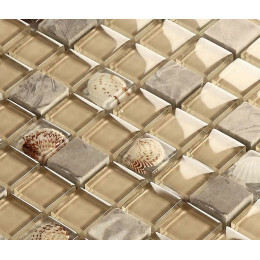 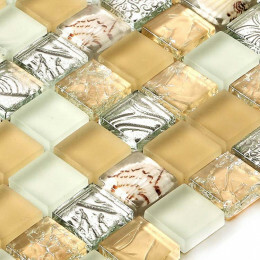 These decorative tiles are terrific for interior design, especially an ocean or beach themed house.